Our club colours are sapphire blue and white with a splash of navy. We now have our own club shop were you can purchase T Shirts, vests, hoodies and zoodies. The T Shirts are sapphire, the vests sapphire and white and the hoodies and zoodies come in navy or sapphire. 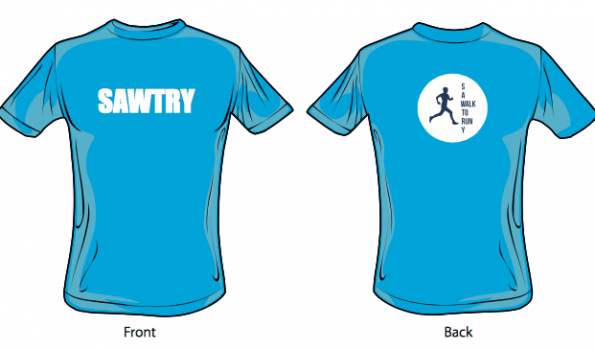 People can still buy our Run Together Sawtry Walk To Run T Shirts but they are ordered from Run Together in batches of 10 whereas the Club merchandise can be ordered as individual pieces direct from our local supplier, Total Clothing in Peterborough. If you are running as an EA registered athlete having claimed your race discount, you will need to run in club colours which can be purchased here.